Home > Blog > Acucraft’s New Home – BIGGER & BETTER! Acucraft’s New Home – BIGGER & BETTER! Phase 2: polished floors & lighting complete! After months of searching, several locations scouted and numerous walk-through’s we finally found our new home! Thank you to all of our customers for making this possible! 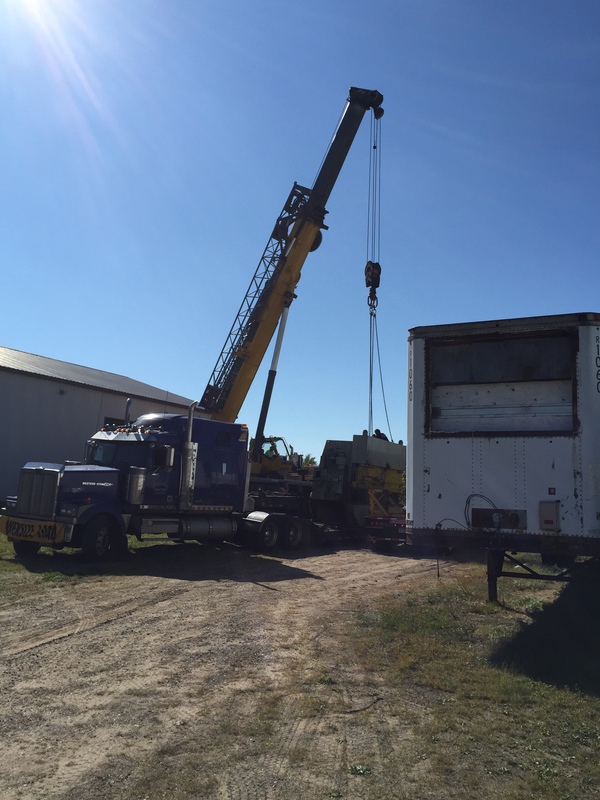 From our shears & benders to our milling machines and welders, everything had to be moved. We may have needed a crane to move some of our machinery, but we did it! Our production teams have been separated in two facilities for months and they were finally able to reunite under one roof on Monday, September 28th. The excitement was palpable, there were smiling faces and sparks flying, we were home. 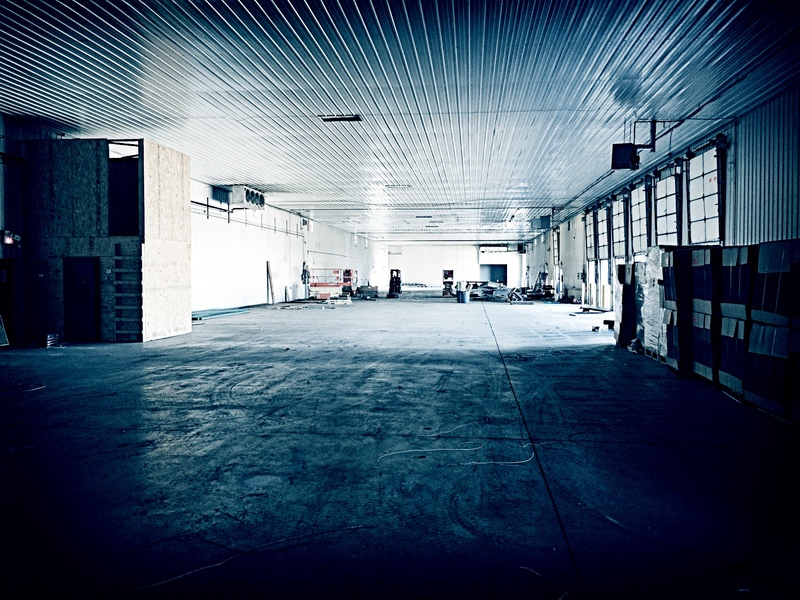 No longer were we confined to a limited amount of space; our team had been growing and now our building could match it. 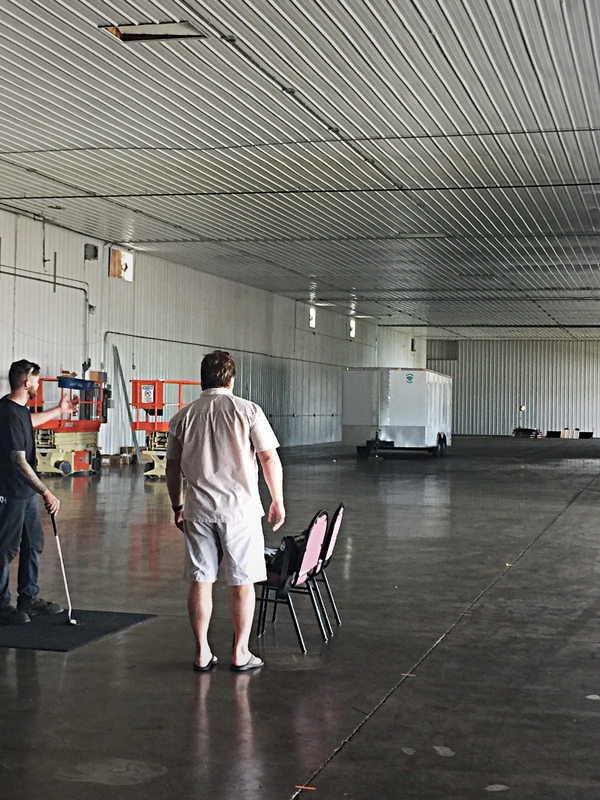 With over 22,000 square feet (19,200 of which is production space) and 4.5 acres we are not only able to have our production teams back together, but there is room for future expansion. Our new home also offers us the opportunity to equip our manufacturing team with bigger and better machinery to ensure our customers receive a superior quality product. 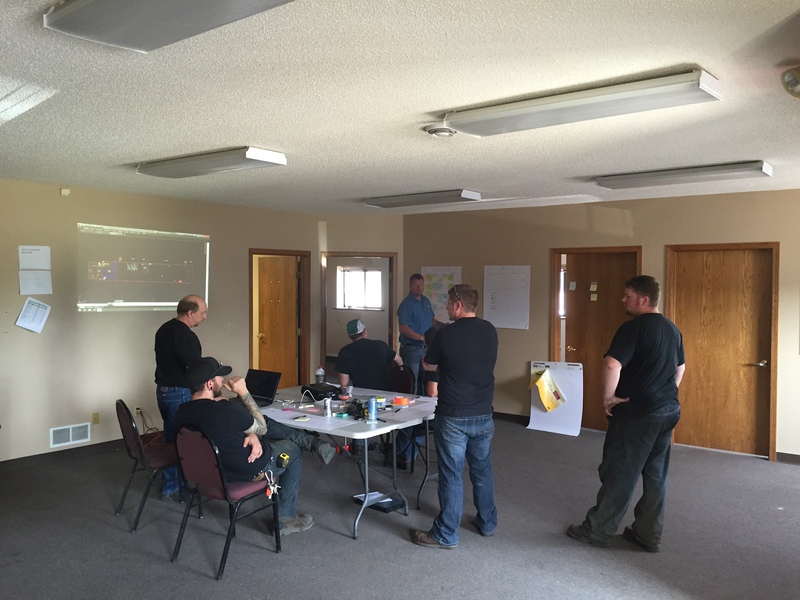 space was designed by our Plant Layout Team which included members of our Production, Design, and Operations teams. With the knowledge from our team and utilizing LEAN principles we were able to design the most efficient layout for our space to ensure high quality, high performance and flow. 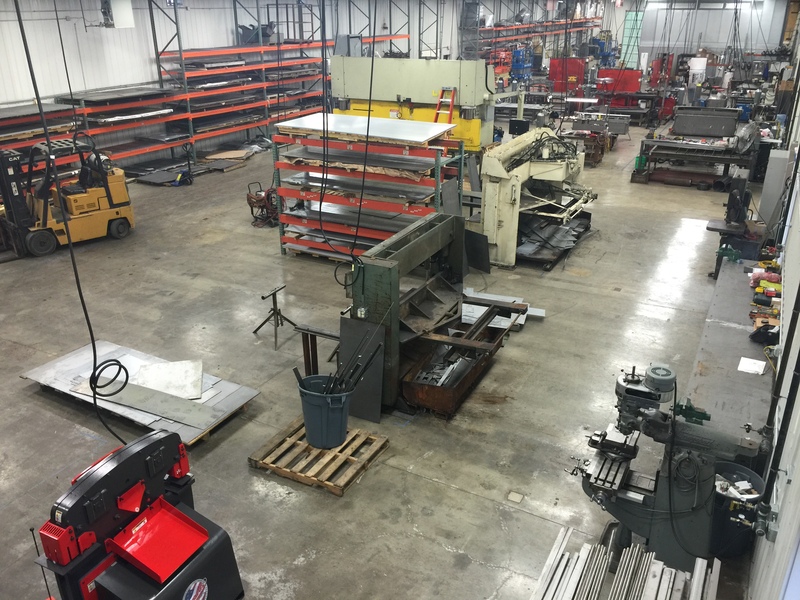 Our new home is fully equipped with state of the art equipment including; 120 high density T8 fluorescent lights, 18′ high ceilings, a 3″ line 25hp air compressor, a 6′ shear with 1/4″ capability, a 10′ shear with 1/4″ capability, three (3) testing stations, room for a future test lab, a 16’w x 26’d x 16’t paint booth, finishing & shipping area, 12 welding stations, and nearly 3,000 square feet for fabrication which is also home to most of our machinery. 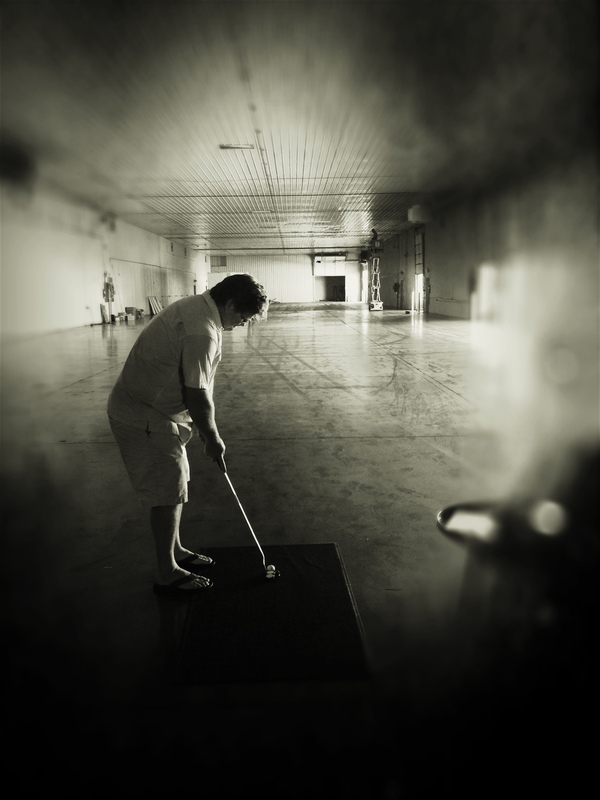 Your journey begins in front of one of our eight 8′ garage doors leading into our receiving bay; these entryways allow us to receive steel year round, even in the dead of winter. 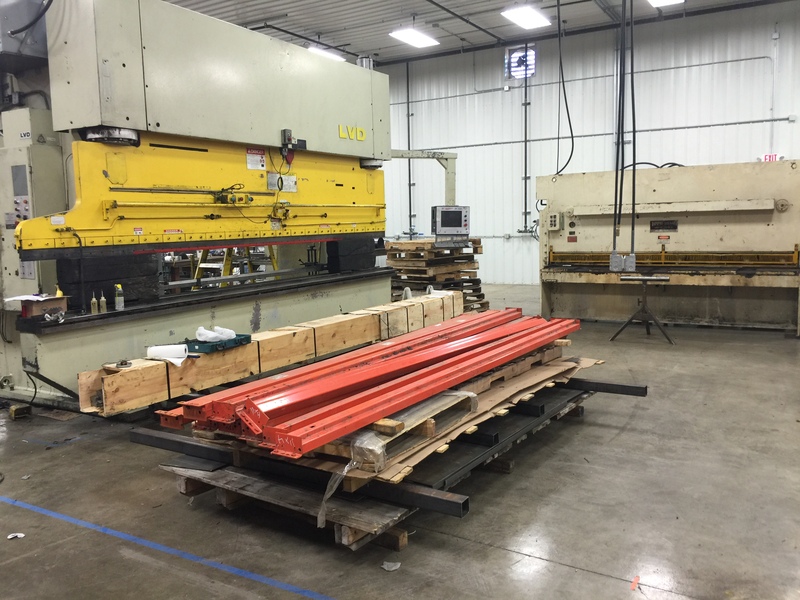 The rear of the building is home to our material supply, but also houses our fabrication team. 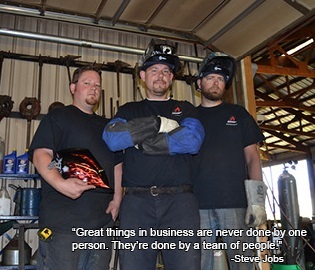 They’re not only responsible for maintaining all of our steel inventory, they also cut, bend, and kit all of the materials & parts needed to build a fireplace. Let’s keep moving! 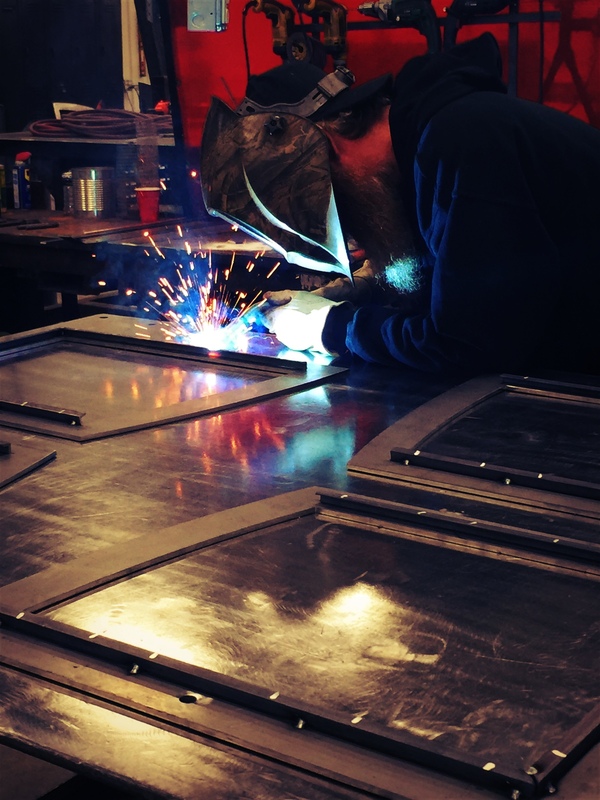 OK, here’s where the sparks start to fly…our welding stations! Each welder has their own station ranging from 10′ x 10′ to 14′ x 14′ with electrical drops, welders, and all the tools they need to build any of our standard fireplaces or custom fireplaces. 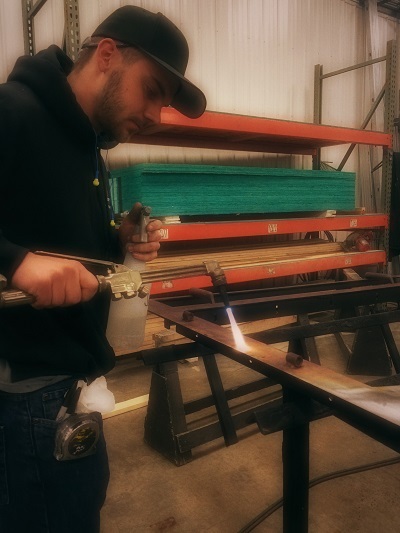 The first set of stations are for our custom fireplace welders, followed by fronts & doors, and then our standard fireplace welders. Careful! Watch out for sparks! Up next, is our painting & finishing department. This is where all of our fireplaces receive their insulated panels and are crated & shipped. This is also where they are all prepped, primed & painted; whether you choose a standard flat black, custom paint, or a Patina, this is where the magic happens! Who doesn’t love a nice Japanese Brown Patina? C’mon! Alright, now on your right you’ll see our fireplace testing department! 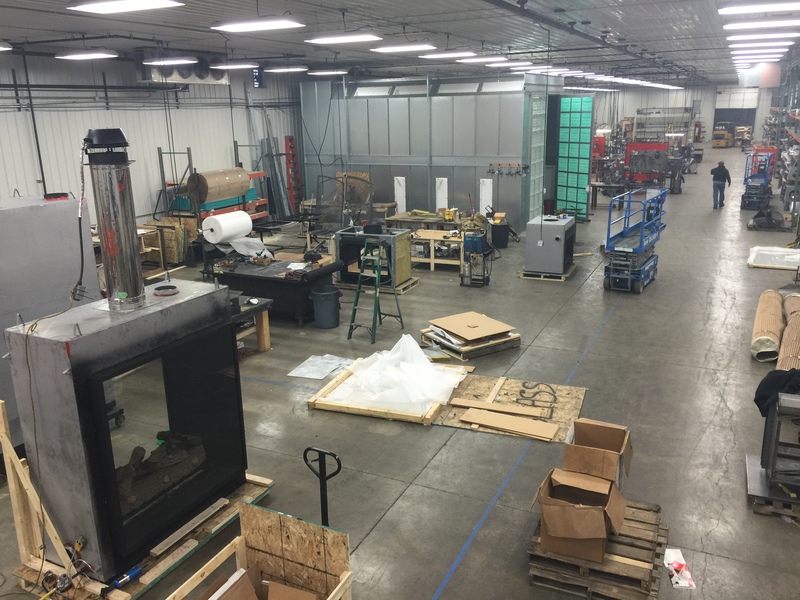 With the additional space in our new building we are able to have three stations for testing our products; remember, every one of Acucraft’s custom gas fireplaces is internally tested to meet & exceed ANSI standards before shipping to the customer. teams which will be built out into offices. Last, but certainly not least, is our current office space, home to our Design, Operations, & Customer Fulfillment Teams. This is where each fireplace is designed to meet & exceed our customers’ standards, where our technical support team is available to answer all of your questions, and our customer fulfillment specialist can guide you through the production process. Unfortunately this is where our tour ends, but hey, thanks for coming! All of our customers are welcome to come see their fireplace being built, or simply stop by for a tour of our new facility. We want to say a huge THANK YOU to all of our customers for their support and continued patronage; this move ensures we’re bringing you nothing but the best product! So how did we celebrate our new home with our team? Well, a little putt-putt golf of course! The objective? 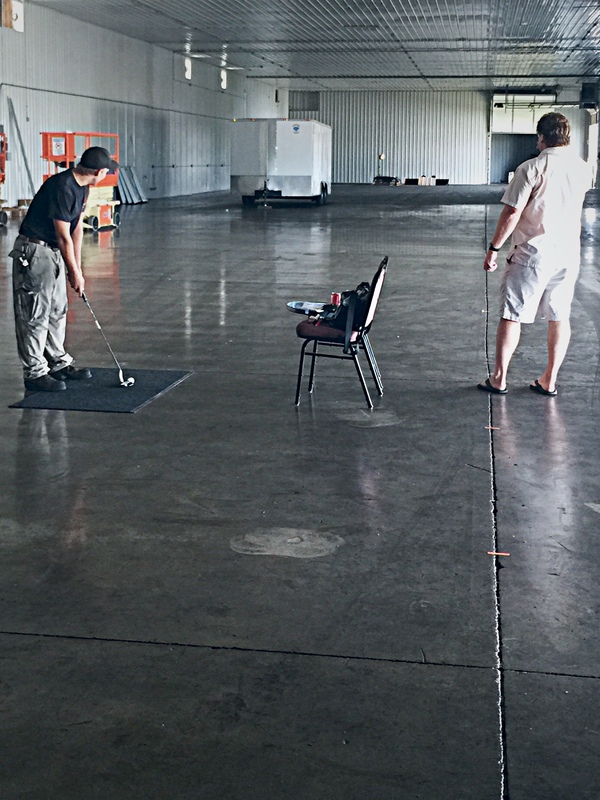 Successfully drive the ball 250′ down the warehouse aiming for multiple targets to win some cash! It was definitely harder than it looked, but everyone walked away a winner! Not only are we thankful for the support from our customers, but also from our team! We are so thankful for the amazing team we have!